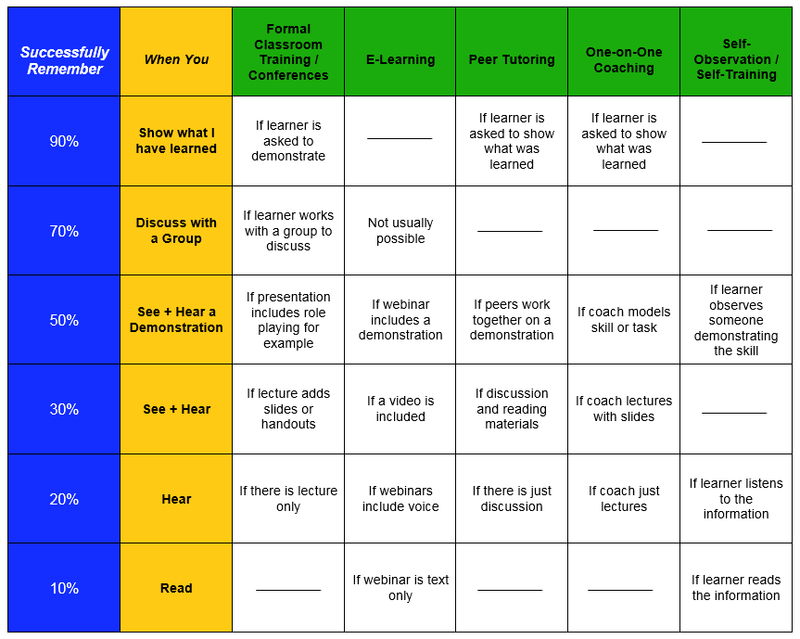 This chart is meant to help you to think about the level of success you want for your learners. You want learners to experience successful learning. Consider the learning format and determine how it can lend itself to maximum learning retention.